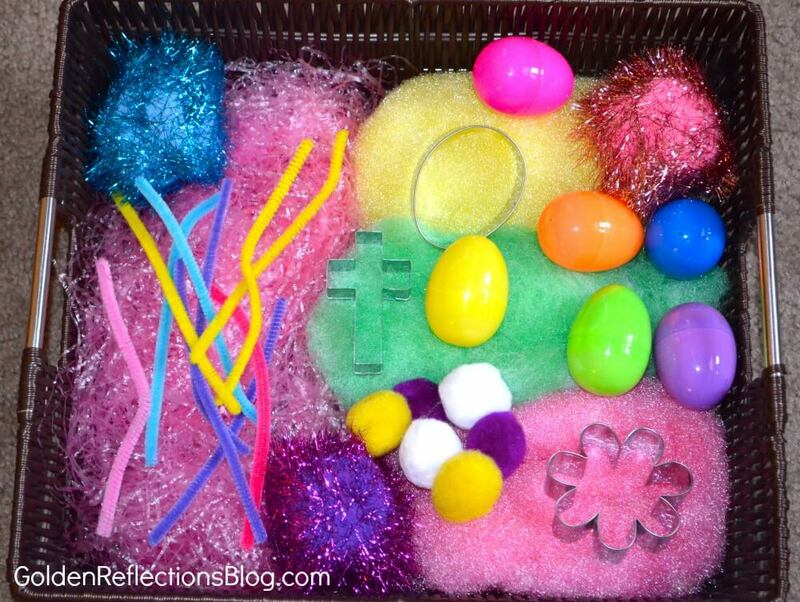 I placed Easter grass on the bottom and then layered all the other items on top of the grass. I used a large wicker basket with handles on the side to hold everything. E's favorite part was definitely the grass! She went right for it and pulled it out of the bottom before any of the other items! She also enjoyed playing with the eggs. 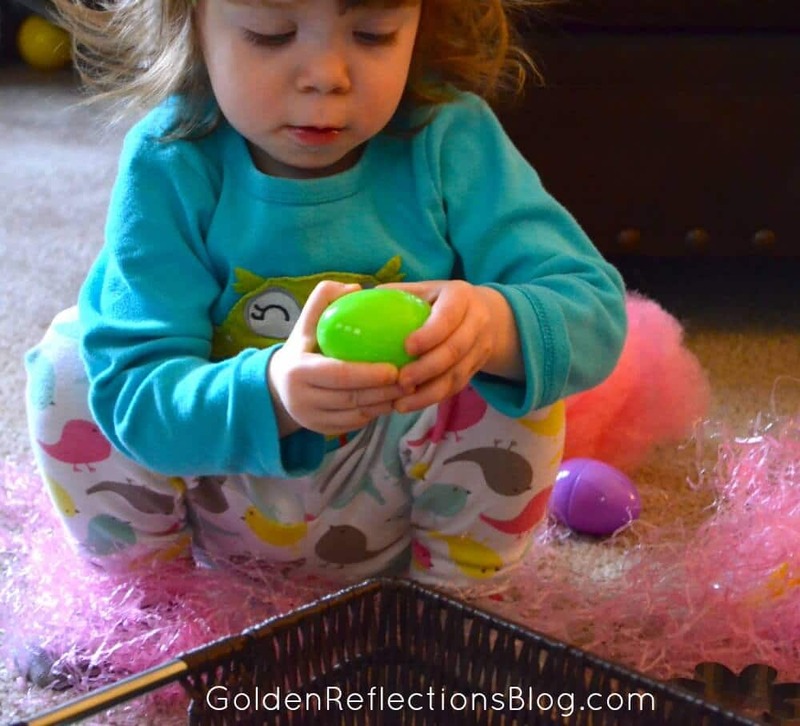 She has been wanting to open and close objects lately, so these Easter eggs were a perfect challenge for her to try and open! I put some of the large colored pom poms inside each egg so that there would be something inside if she happened to open one. The first time she played with this she wasn't able to open any eggs, so she would bring them to me to open. But we played with this again this week and she was able to get 2 open! So proud of her! 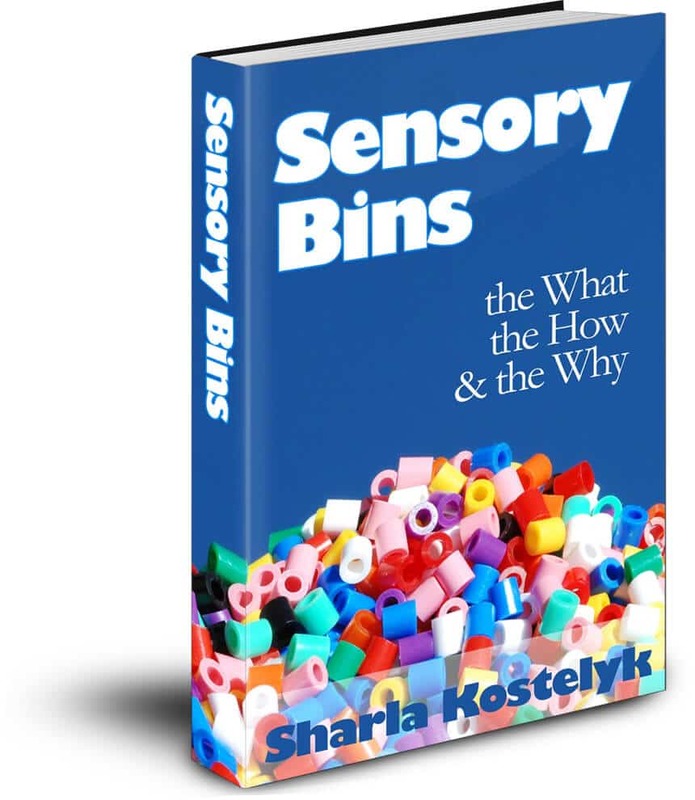 For more ideas on how to get started with sensory bins, I highly recommend the ebook Sensory Bins: The What The How and the Why by Sharla Kastelyk. 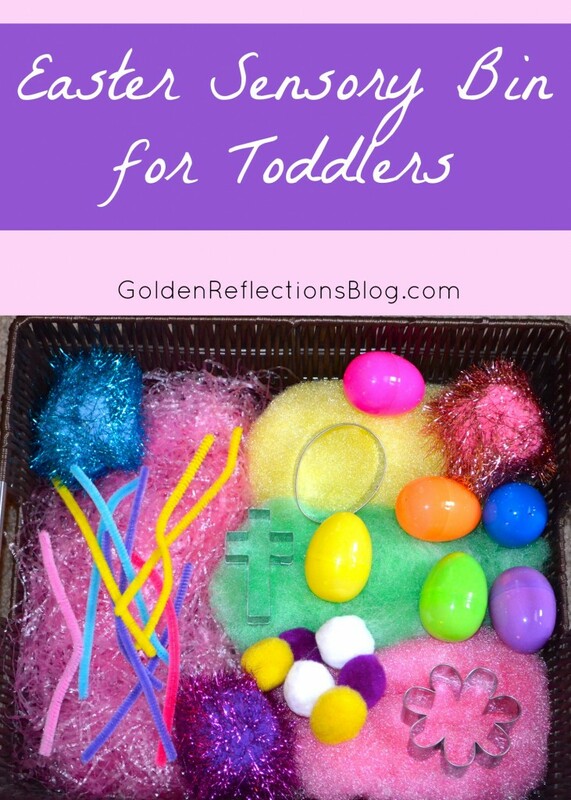 This is a great resource if you have never put a sensory bin together and aren't sure what all is involved! You can also read my review of her ebook here. 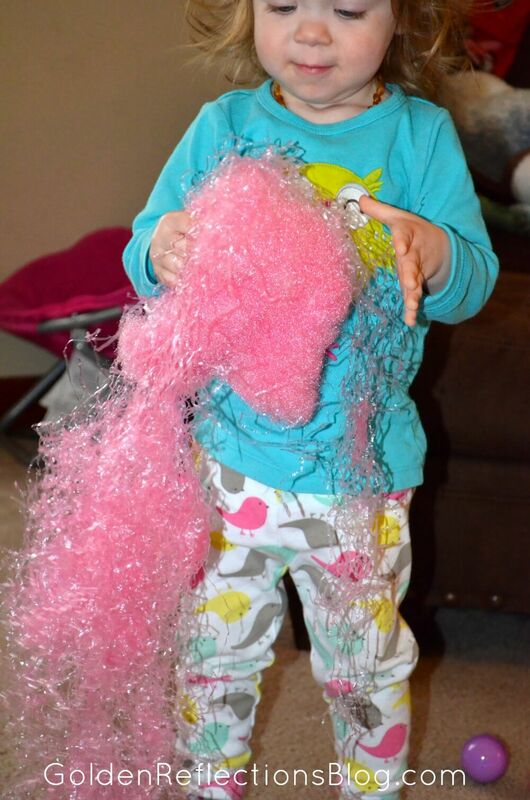 For more sensory ideas you can also check out my Sensory Fun Pinterest board. 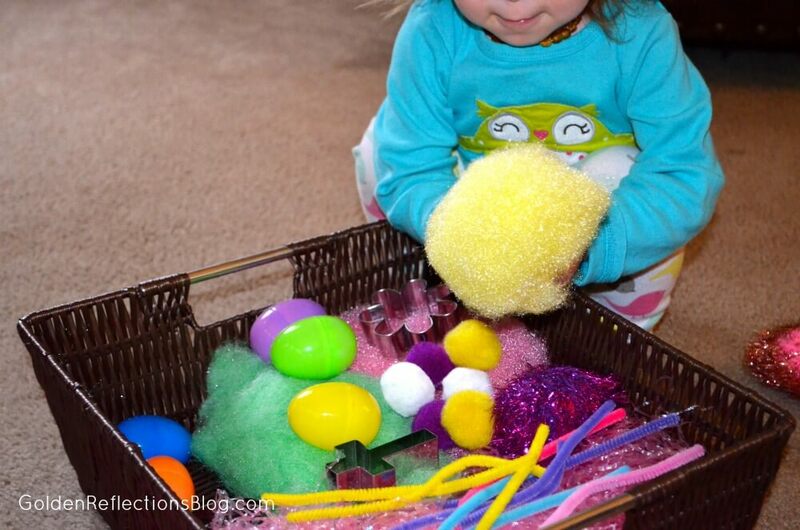 I pin all kinds of sensory ideas here, not just sensory bins.